The kitchen is the perfect place for children to learn measurements, numbers, fractions, even to tell time. 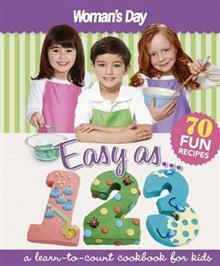 While cooking the simple, delicious recipes from this book such as chicken noodle soup or fairy cakes, kids can be taught all about measuring cups, tablespoons and teaspoon... read full description below. The kitchen is the perfect place for children to learn measurements, numbers, fractions, even to tell time. 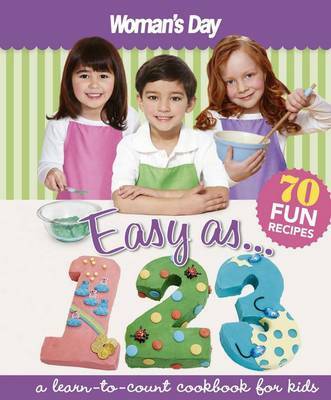 While cooking the simple, delicious recipes from this book such as chicken noodle soup or fairy cakes, kids can be taught all about measuring cups, tablespoons and teaspoons. They can test quantities and compare a cup of liquid to a cup of flour or sugar. Introduce your child to pizza maths, slicing creations into quarters, thirds and halves. There are also tips for teaching them about time, from using the clock on the wall to the digital reading on your microwave. Plus there's a gorgeous birthday cake section, with numeral cakes creatively decorated for every age.